Bring a bit of nostalgia back to your Porsche® and BMW® ownership experience like the day it was new! Stuttgart Studios re-creates the magic of the purchase one sticker at a time. Stuttgart Studios reproduces dealership window stickers for Porsche® and BMW® models of numerous types and years, along with commissioned projects from time to time including Ferrari® and McLaren®. Stuttgart Studios knows the subject matter and understands how important it is to get it right the first time, every time. Our catalog is expanding every day as we add new models and years to accurately reproduce Monroney window stickers. We ONLY reproduce window stickers for vehicles that meet our stringent data-checking protocol to ensure all information is true and correct. Whether you own and drive a Porsche®, BMW®, or other European vehicle of significance, Stuttgart Studios can make your window sticker dreams a reality, accurately and professionally. Our goal is to re-create the passion of ownership like the day it was new. Stuttgart Studios novelty reproduction window stickers aren’t just a nostalgic keepsake; they are a reference point to celebrate the thrill of ownership. Founding the company in 2011, Rieman brings a wealth of experience — both technical and administrative — to Stuttgart Studios. An active member of the Porsche® Club of America (PCA) since 2002 and BMW Car Club of America (BMWCCA) since 2016, his creative sense has spearheaded many productions and events inside and outside the clubs that were regionally and nationally recognized. With nearly 25 years of web publishing, graphic design, writing, multimedia, and IT experience, Rieman also provides consulting and marketing assistance to small and medium-sized local businesses. His tools of the trade are Adobe CC Suite, lots of ink and paper, and a good deal of patience. A 1997 graduate of the University of Dayton with a BA in Journalism, his copywriting, graphic design, on-air work, and marketing projects have been seen and heard in both print and radio including: Excellence Magazine, Panorama, The Dayton Business Journal, The Dayton Daily News, The Cincinnati Enquirer, The CBS Early Show, and WHIO-TV. He also co-hosted Flyer Feedback on WHIO 95.7FM (Dayton) from 2007-2009. In his spare time he participates in concours and does best to keep his low-mileage, garage-queens looking hot to trot. 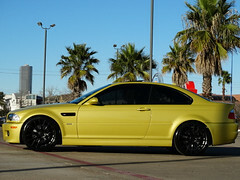 His current fleet includes a 1988 Porsche 911 Turbo Coupe, 2006 Porsche Cayman S, 2005 BMW M3 Coupe, and 1997 BMW M3 Sedan. He lives in Dayton, Ohio, the birthplace of aviation. Stuttgart Studios is a graphic design and printing company founded by car enthusiasts and concours participants passionate about Porsche® and BMW. Frustrated by the loss of important vehicle records and information, they set out to recreate the original Monroney window stickers as novelty reproductions for their own personal archives. Impressed by the results, others requested their own reproductions. The high demand spearheaded our business, but with unique twists offered by no one else. Today, Stuttgart Studios is the definitive source for Porsche® window sticker reproductions from 1970-2017, and select BMW M cars. No one else comes close to matching our knowledge, experience, vehicle information, or wide range of model/year offerings and customizations. "The accuracy and level of detail is nothing short of extraordinary, and my Stuttgart Studios window sticker has been a hit at local events. Working with Chris was a pleasure from start to finish. His communication was exemplary; the response times were sometimes minutes and not hours or days." "I really appreciate the work you have done. It has been a pleasure working with you." "All I can say is wow! And thank you. Side by side with the original one from my 911 you can’t tell one from the other…thanks again for everything. The work you do is simply extraordinary." © 2018 Stuttgart Studios. All Rights Reserved. 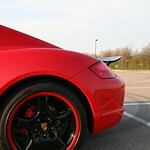 Not affiliated with Porsche Cars North America or Dr. Ing. h.c. F. Porsche AG.